Believe it or not, despite being named after Michael Jordan himself, I can’t say I am a huge basketball fan. Aside from the odd sessions of EA NBA Live games on EA Access, I haven’t spent a lot of time playing basketball games ever since the days of NBA Jam on the Sega Mega Drive. As you can imagine, a lot has changed since NBA Jam. Basketball games are no longer feature players literally being set on fire when they are doing well as they are much more realistic. One of the best things to happen to basketball games overall is the rise of 2K Games/2K Sports. Releasing every year for the past two decades, the NBA 2K franchise has continuously chipped away at bringing a basketball simulation closer to the real thing. 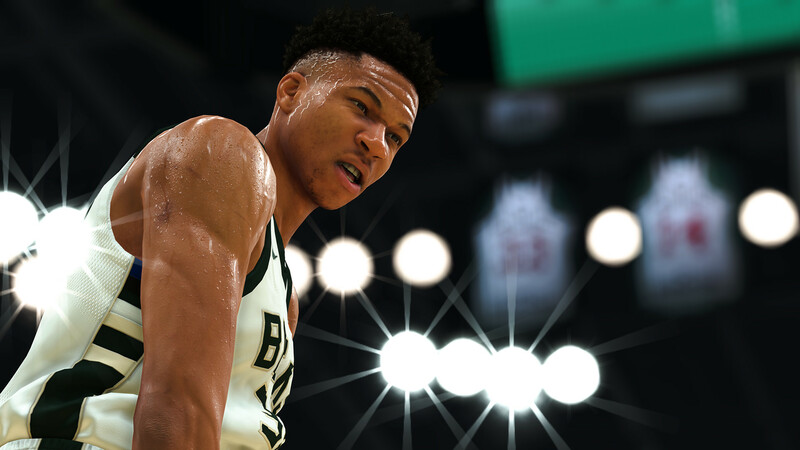 Marking the twentieth instalment in the series, NBA 2K19 once again brings us slightly closer, while also tweaking and introducing a tonne of extra content. This year, players can expect major changes to the Takeover System, an overhaul of the AI and a whole lot more which I’ll be covering in this preview. One of the newest features to look forward to is the Takeover System. Despite the existing player archetypes, the majority of players arguably still felt quite similar in NBA 2K18. This time around, the Takeover System introduces seven combinations of archetypes, giving players more options while playing. Activating a takeover enables a player to become superpowered for a short period of time. For example, if a defender activates their takeover, they may be able to stop opponents stealing the ball away from them. This isn’t to say that a player suddenly becomes ridiculously overpowered, from what 2K have divulged, it simply means that players will be momentarily better at things that you would expect them to be good at. Each of the archetypes has also been balanced to ensure that each one has a solid counter. If you’re patient enough to save your personal takeover, you can also build bar for a team takeover, which, if you can pull it off, could activate every player on your team. With high reward comes an equally high risk though, as you can mess up the takeover and lose it entirely. In previous NBA 2K games, user skill was certainly important but was not necessarily an essential component needed to do well. It was possible to get by, as long as your team had those high stats listed next to their name. 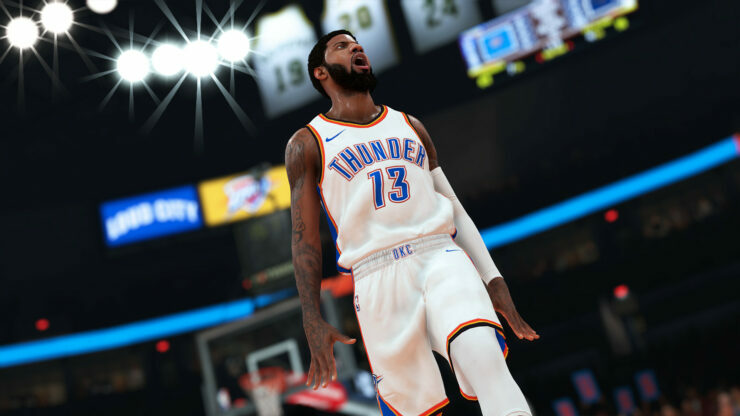 However, in NBA 2K19, the focus appears to have shifted from depending on the skills of just the players to balancing far more on the skills of the user. So if you happen to be particularly talented at dunking on your friends, prepare for some incoming salt. With new dribbling and shooting mechanics, the gap between experts and beginners should be noticeably larger this year. Signature size-ups and signature triple threat styles alongside the improved shooting mechanics should give higher skilled players a chance to stand out. As I mentioned previously, I’ve only played the NBA Live games which are known for being easier compared to the 2K series. My time spent playing a few hours of 2K19 felt extremely intuitive as someone who doesn’t have much experience with basketball games. One of the major differences is that 2K19 doesn’t hold your hand anywhere near as much as the NBA Live games do. Don’t expect to find any meters on the screen to show you exactly how much power to put on each shot because those do not exist here. Instead, players will have to work out the right amount of power depending on the shot, and while this may be difficult at first, it doesn’t take long to understand the basics. Offensively, I had no problems passing around the ball, dunking on fools and scoring the occasional three-pointer shot. The defence was a completely different story, I felt like that side of the game is much more complicated. Thankfully, there are a number of tutorials in the real game to teach players exactly how to handle themselves on the court. Sports games are notoriously criticised for having subpar AI systems and it seems as though the NBA 2K franchise has been no stranger to this in its past. Noticeable improvements surfaced with the launch of NBA 2K18 which the community certainly recognised and appreciated, however, the AI was still far from perfect. In previous NBA 2K games, it was relatively easy to find a weak spot in the AI’s style of play and continuously exploit it. This year, the AI is now able to flip that around and impose it on the user. Entitled ‘Series AI’, this system finds a strategy that works and keeps performing that action until the user finds a way to stop it. Considering the archetypes that I’ve already mentioned as well as the individual abilities of each of the players, you can already imagine how the intricacies of this system could play out in a game. Rotations have also changed as a result of an improved Steal system that depends far more on timing and ability rather than just a lucky button press when near an opponent. Even AI playing off-ball should attempt to steal the ball away, mimicking human movement and decision making. Although I haven’t had a chance to test the AI personally, this all sounds very promising. It’ll be interesting to see whether the AI of NBA 2K19 lives up to the sophisticated image that 2K have outlined. 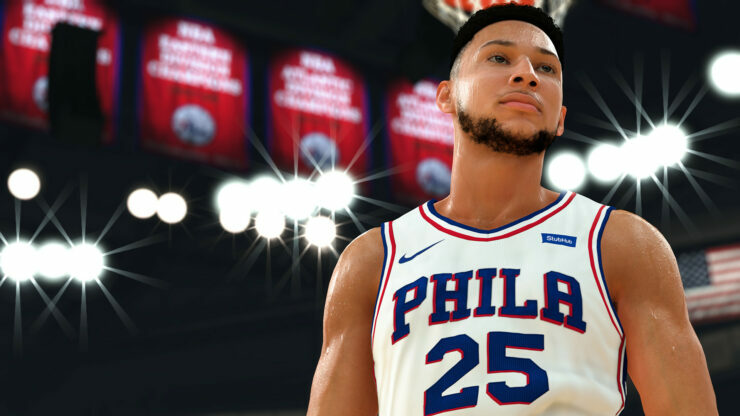 Following the Belgian Gaming Commission’s (BGC) decision to declare loot boxes in video games illegal, 2K has been forced to remove loot boxes from the Belgian version of NBA 2K19. The developer has even published a blog post stating that they will continue contacting the BGC while encouraging that Belgian users reach out to their local government representative. In its current state, Belgian players will not be able to purchase card packs with VC (Virtual Currency). 2K are pushing MyTEAM hard this year by releasing new packs, with better players, earlier on and more frequently. Throwback packs now guarantee a Throwback player in every pack and it will even be possible to unpack Amethyst cards on launch. Pink Diamond cards are also scheduled to drop as early as September. With new mode MyTEAM Unlimited releasing and with 2K hosting the MyTEAM Unlimited $250,000 Tournament in October, it’s clear that loot boxes are undoubtedly cemented into 2K19. As an outsider to basketball games, I am amazed to see just how much content there is in NBA 2K19. Most sports games are content with their standard game modes and their equivalent of Ultimate Team. In addition to all of these system-wide changes and the usual modes, you’ve also got the Neighbourhood which has been tweaked to become more of a social hub. The Neighbourhood is so extensive that most publishers would be tempted to release it as a separate game. There’s a lot of bang for your buck with NBA 2K19 and even though many of the new improvements in-game cater to experienced players, there’s still a lot of content for new players to get stuck into. ‘The Way Back’ story mode continues A.I’s journey as he travels to China and has to work his way back to the NBA. The free prelude (first chapter of MyCareer) is now available for download on PlayStation 4 and Xbox One. This demo has not been released on PC and Nintendo Switch, however. The Standard Edition of NBA 2K19 will release on PC, PlayStation 4, Xbox One and Nintendo Switch on September 11th. Those that have pre-ordered the 20th Anniversary Edition will have early access from September 7th.